Erma Jean Johnson, 81, Harveyville, passed away Thursday, November 29, 2018. 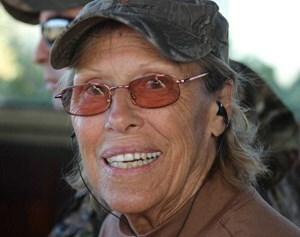 Erma was born April 11, 1937 in Eskridge, the daughter of Harold E. Montgomery and Erma Martin Brooks. She graduated from Harveyville High School in 1955 and attended Glendale Community College in Glendale, AZ. She was employed as a Customer Service Representative with the National Park Service and the Internal Revenue Service for over 20 years. She was a member of the Auburn A.A.
Erma married Earl Eugene Johnson on July 11, 2004 in Anchorage, AK. He died February 6, 2014. Survivors include her children, Daniel D. (Carol) Bell, Harveyville, Debra S. Coats, Oklahoma; 7 grandchildren; many great-grandchildren; and siblings, Rose Anne (Bill) Suther, Dallas, TX, Larry (Linda) Montgomery, Harveyville, and Steve (Libby) Montgomery, Topeka. She was also preceded in death by daughter, Diane Elaine Bell; and siblings, Darrell Montgomery, Roland Montgomery and Marva Haller. Memorial services will be held at 6:00 p.m. on Friday, December 7, 2018 at Dove Southwest Chapel, 3700 SW Wanamaker Road. The family will receive friends at the funeral home following the service. Memorial contributions may be made to the Auburn A.A.
Add your memories to the guest book of Erma Johnson. Please accept my condolences. Jean was a co-worker of mine at the IRS years ago. She had a quick wit and we shared many a good laugh back then. She had a heart of gold and I am grateful to have known her. I was surprised and sad to hear of Jean's passing. As an adult, I had several occasions to sit with her an just talk about life. She touched my heart with her stories and I hope she felt the same way. I hope to share with her again someday. Please accept my condolences to the family for their loss. I didn't now Erma Jean well but I enjoyed her company when she would stop by the library. She will be missed. Our deepest condolences to Debra Coats and the Bell and Montgomery Families. I remember when I worked at FHLB in Topeka always asking for Jean at the IRS and she always knew every answer . That's when I first got to know Jean. She was very kind and personable. To the Family of Jean, My condolences go out to each & all. Such a lovely woman she was. Always was so cheerful & caring to each & everyone. Will be missed terribly by all. May God bless & keep her in his care & in your hearts forever. I am so sorry for your loss. She will be missed.